Settle down and connect with the landscape. House A in Alphington Australia is one of those suburban homes you can't ignore when walking by. From the street it looks like a house with no windows. 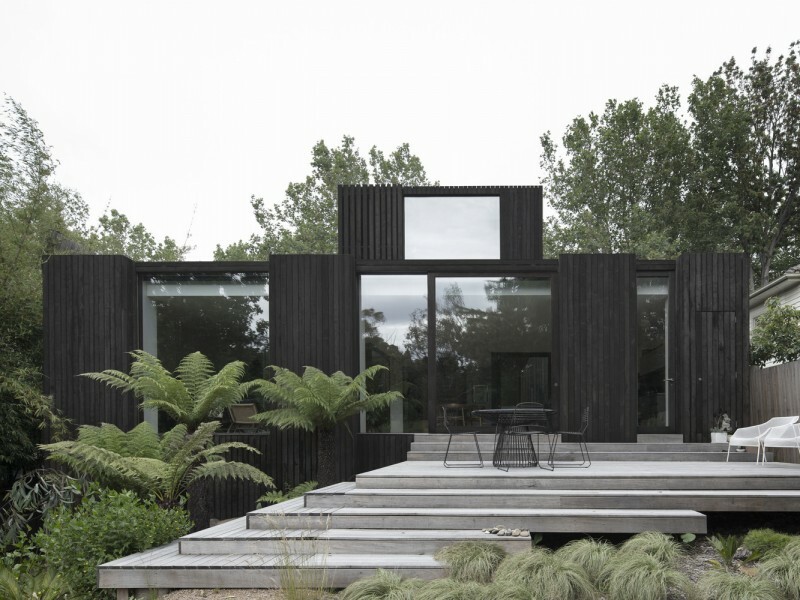 The dark, radially sawn timber cladding gives no real hints about what is going on inside. Some green leaves sprouting out the top of the house is the only hint of the surprise that awaits. 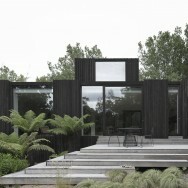 House A, designed by Andrew Walter is nothing like its neighbours. Unlike a typical suburban home, with a garage and windows to the street. It doesn't give much away. 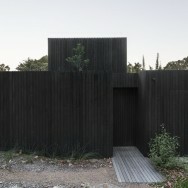 A series of dark, timber-clad boxes are the background to an informal native garden. Once inside it's a completely different story. The house with no windows is actually a house with many windows. You immediately get a sense of lightness and glimpses of greenery.